In keeping with Blue Hills’ mission of educating students to respect diversity, this program’s goal is to spread awareness among our students about children with special challenges. This program aims to promote understanding, acceptance, and appreciation of individual learning and ability differences through fun, experiential activities. Abilities Awareness Day is an event that focuses on promoting better understanding of our children’s different abilities and how we can all help one another. Bobcat Buddies normally occur on Tuesdays where “big” buddies and their “little” buddies eat lunch and play games together. In addition, we also have Bobcat Buddies Games Days on the last Tuesday of the month with facilitated games lead by parent volunteers. Please check the school bulletin or the Abilities Awareness website for latest updates. For more information, please email bluehillsptapresident@gmail.com. 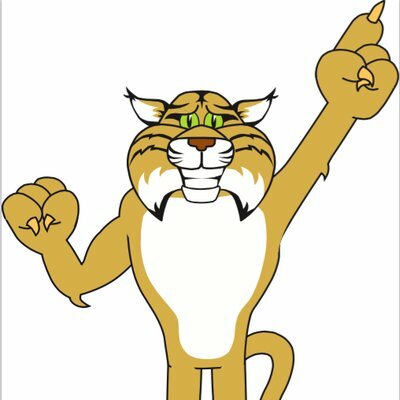 The responsibilities of the Bobcat Be’s Liaison is to represent the PTA at the Bobcat Be’s meetings with the staff and to assist with the coordination of the reward activities. Blue Hills’ Bobcat Be’s Student Management program supports all students through interventions ranging from a school-wide system to a system for developing individualized plans for specific students. The Bobcat Be’s program consists of pro-active procedures and practices to prevent problem behavior for all students and to improve school climate. The Bobcat Be’s are three rules that students follow at all times at Blue Hills: Be Safe, Be Responsible, & Be Respectful. The Bobcat Be’s uses the school-wide rules to identify specific behavioral expectations across all school settings. The Bobcat Be’s: Positive and Negative Reinforcement - Students receive positive reinforcement for following the Bobcat Be’s by receiving “Paws for Praise” tickets. Weekly classroom drawings are done for students that receive “Paws for Praise” tickets and students are recognized at weekly Bobcat Be’s assemblies. “Paws for Praise” tickets are used to buy items at our school store: the Bobcat Den. When students violate the Bobcat Be’s, staff intervenes to inform the student of the problem behavior, teach the appropriate behavior for the particular situation, and administer appropriate disciplinary action. For more information, contact Aparna Sathaye. This is a free and easy program designed by General Mills to help raise funds for schools. You can earn money for Blue Hills by clipping Box Tops coupons from hundreds of participating products and turning them in to the front office for collection. Blue Hills has earned $275 for the past school year from Box Tops. For more information about the program visit the Box Tops for Education website. Come browse through a wide selection of books and products at the Blue Hills Book Fair. Itʼs a wonderful opportunity to go shopping for a good cause as all proceeds from this event go towards the Blue Hills PTA to benefit our school. Blue Hills is always looking for parent volunteers to help with this event. If you are interested in volunteering, please contact Mimi Wong, Vanitha Srinivasan, or Jennifer Wong at BlueHillsBookFair@gmail.com. Sales of Blue Hills Spirit Wear raises funds to benefit the Blue Hills PTA Programs and Activities. Keep an eye out for order forms in your student’s Friday folder! A limited number of Blue Hills Bobcat T-shirts will be available for purchase at the Bobcat Walk. For more information, contact Neetu Pun or Vanitha Srinivasan at bluehillsbobcats@gmail.com. The Community Service Program offers Blue Hills students and their families an opportunity to give back something to their community. Each year Blue Hills students participate in a Community Service Program. In the past years, the students have participated in food drives, Pennies for Patients, donations to military families, and more. For more information Contact Neetu Pun. In case of an emergency, Blue Hills will be ready, thanks to the Disaster Preparedness Committee. The Disaster Preparedness Committee puts together emergency backpacks for each classroom which include Emergency Identification Cards for each student, flashlight, battery operated radio, two-way radio, and more. In addition to the emergency backpacks, the Disaster Preparedness Committee stocks a shed with food, water, supplies for a triage center, and more. Each year Blue Hills participates in an Earthquake Drill. For more information, contact Jamie Chan. The Fall Festival and Fun Run is an annual community event and fundraiser which raises funds for Blue Hills PTA programs such as Assemblies, Computer/Coding Club, Project Cornerstone, and much more. The Fall Festival/Fun Run is the major PTA fundraiser for Blue Hills and our goal is to raise $25,000 this year. Blue Hills is always looking for parent volunteers to help with this event. For more information, please contact Anu Sreenivasan. Every year the PTA sponsors an evening event focused on making math or science fun for kids. The assembly theme alternates every other year. This year Family Math Night will be presented. All Blue Hills families are welcome to attend. Parent volunteers are needed to assist with the stations that will be provided. No experience is necessary. For more information, please contact Joann Liao Martin. The Fifth Grade Farewell Committee is responsible for the planning of the Fifth Grade Farewell held at Blue Hills at the end of the school year. All Blue Hills fifth grade families are invited to the potluck along with the Blue Hills staff. For more information, please contact Jamie Chan. These awards provide recognition for those volunteers who have dedicated their time, talent, and energy towards the enrichment of our community’s children and youth. The Very Special Person (VSP), Honorary Service (HSA), Continuing Service (CSA), Golden Oak Service (GOSA), and Blue Hills Very Important Person (VIP) Awards are given to individuals who are deserving of special recognition. Recipients may be parents, teachers, support/instructional staff and other adults instrumental in the Blue Hills Community and working behind the scenes. If you would like to learn more the Honorary Service Awards Program, visit the PTA HSA website or contact Haydee Wong. For more information, contact Smita Banerjee or Vanitha Srinivasan. This event provides the opportunity for incoming families to meet other Kindergarten families, the Kindergarten teachers, and the principal, and learn about the Blue Hills Community. For more information regarding the Kindergarten Welcome Picnic, please contact Haydee Wong. Periodically the Blue Hills Staff needs items to be laminated for their classrooms. This committee takes these items off-site to the TRC (Teacher’s Resource Center) and laminates them. On average, the laminating task is performs once a week. For more information, contact Vanitha Srinivasan. The Legislative Advocacy provides PTA members with information about PTA positions on current legislation and issues. PTA is a child advocacy association. PTA promotes and encourages legislative advocacy for the education and welfare of all children and youth. This position is OPENED. If you are interested in this position, please contact the PTA Parliamentarian. The Marquee Coordinator is responsible for updating the Blue Hills Marquee with important school events and activities. This duty is performed once or twice a month. For more information, contact Jennifer Wong. The PTA hosts a variety of activities and events (i.e. ; membership drive, principal’s coffee, family science night, staff appreciation week) that need publicity displayed around the school. The Publicity Committee coordinates and creates posters and signage for such activities and events. If this is something that interests you, contact the PTA Parliamentarian. The Reflections Program provides opportunities for students to express themselves and to receive positive recognition for their artistic efforts. The 2017-2018 Reflections theme is “Within Reach”. Only original works of art are accepted. All submissions are due on October 20, 2017 @2:40 pm. **No late entries will be accepted. Only entries that follow the rules of the competition will be considered for the Council level. If you would like to learn more about the PTA Reflections Program, check out the PTA Reflections website or contact the Reflections committee chairs. The Running Club brings structured activity to the playground and encourages fitness. It is run entirely by parent volunteers who make the program a success. Students are encouraged to participate by walking, jogging or running around the grass area of the playground during their lunch recess. After each completed lap, the student will have their lap card punched by a Running Club volunteer. The Running Club meets once a week and is open to all Blue Hills students. If you are interested in volunteering for the Running Club, please contact Neetu Pun. The Student Directory Committee collects student/family information that will be included in the PTA’s Student Directory and used to notify your family of important PTA events and activities. The Student Directory is a valuable resource to help with meeting new families and to have important school resources at your finger tips. The Student Directory is for the exclusive use of Blue Hills Elementary families and will be distributed in the Fall, only to PTA members. For more information, please contact Blue Hills PTA Directory. The safety of Blue Hills’ students is of the highest importance to the Blue Hills community. A great deal of thought and planning has been put into setting up drop-off and pick-up locations to ensure this safety. Your cooperation in following the procedures outlined in the Traffic Safety Document will make the drop-off and pick-up times safer and calmer. Every class is responsible to provide parent traffic volunteers during a 2 week period. Everyone’s help is needed and highly appreciated. Blue Hills is in great need of parent traffic volunteers for the first few weeks of the new school year and the last two weeks of the school year. If you can volunteer your time before and/or after school to help make the drop-off and pick-up times safer, you can sign up online. For more information, please contact Smita Banerjeee. Walk to School is a national program that raises awareness of the benefits of walking/riding to school while improving pedestrian and bicycle safety. For more information, please contact Jennifer Wong. The Yearbook Committee is comprised of parent volunteers that put together the annual Blue Hills yearbook. The committee coordinates the page layouts, photography, yearbook cover contest, ordering and printing of the our yearbook. The Yearbook Committee works throughout the school year taking photos of school (i.e. ; Spirit Days, Outdoor School, Music and Band performances, classroom candids) and PTA events (i.e. ; Bobcat Walk, Art and Clay Docent, Assemblies, Running Club) and creating the page layouts. Please check the Blue Hills Yearbook website for information on the Yearbook Cover Contest, Yearbook Photo Submission, Yearbook Orders, and more. If this is something that interests you, contact Mimi Wong, Juiwen Hu, Joann Liao Martin, or Christy Tum at BlueHillsYearbook@gmail.com.